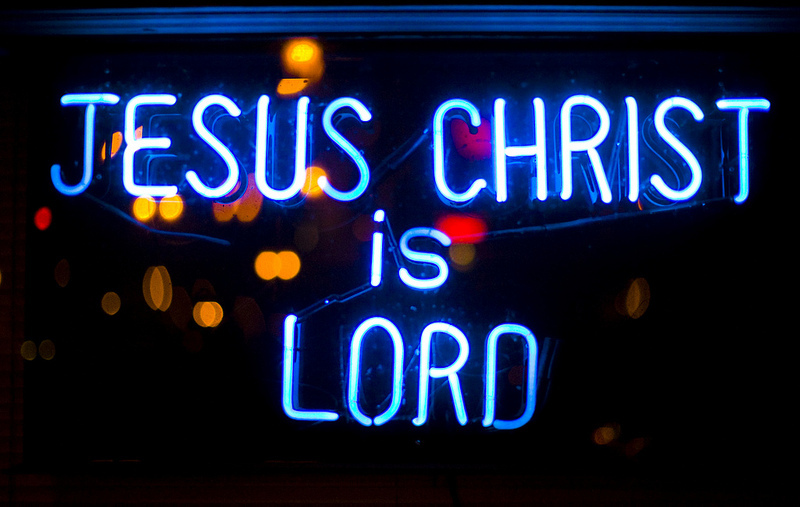 Jesus Christ is Lord – the first and oldest affirmation made by persons claiming to be Christ followers. His very name brings together the fullness of who He is and what He has done for the world. This is right and is acceptable in the sight of God our Savior, who desires everyone to be saved and to come to the knowledge of the truth. For there is one God; there is also one mediator between God and humankind, Christ Jesus, himself human, who gave himself a ransom for all. I am trying here to prevent anyone saying the really foolish thing that people often say about Him: ‘I’m ready to accept Jesus as a great moral teacher, but I don’t accept His claim to be God.’ That is the one thing we must not say. A man who was merely a man and said the sort of things Jesus said would not be a great moral teacher. He would either be a lunatic – on the level with the man who says he is a poached egg – or else he would be the Devil of Hell. You must make your choice. Either this man was, and is, the Son of God: or else a madman or something worse. You can shut Him up for a fool, you can spit at Him and kill Him as a demon; or you can fall at His feet and call Him Lord and God. But let us not come with any patronizing nonsense about His being a great human teacher. He has not left that open to us. He did not intend to. We must no longer be children, tossed to and fro and blown about by every wind of doctrine, by people’s trickery, by their craftiness in deceitful scheming. But speaking the truth in love, we must grow up in every way into him who is the head, into Christ. So our war torn world might also know your truth, love and peace. Click here for a powerful and personal reflection on this theme as found in John 14:23-29 by Steve Harper. This is the third of seven posts based on themes from Revelation chapters 2-3. In these scriptures, Jesus reveals the timeless message of what His church should look like. This entry was posted in Quotes and tagged 7 letters, commitment, faith, God's leading, God's Word, obedience, Revelation, reverence, seven letters, surrender, transformation, trust, truth, wholeness by revlisad. Bookmark the permalink.